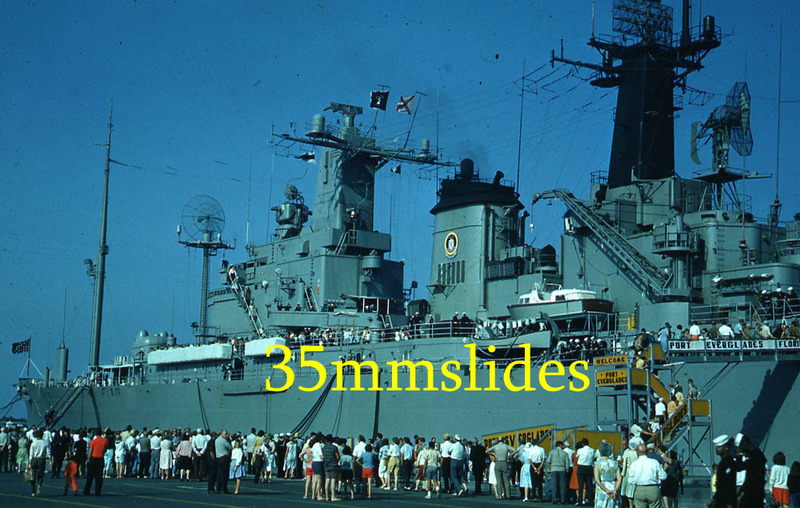 Please send me e-mail if you have any additions, comments, corrections, etc. 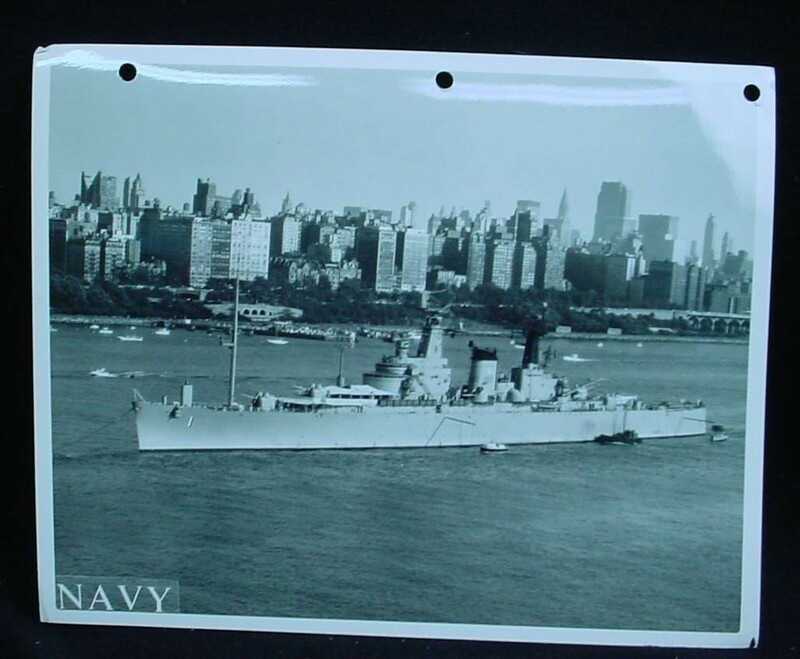 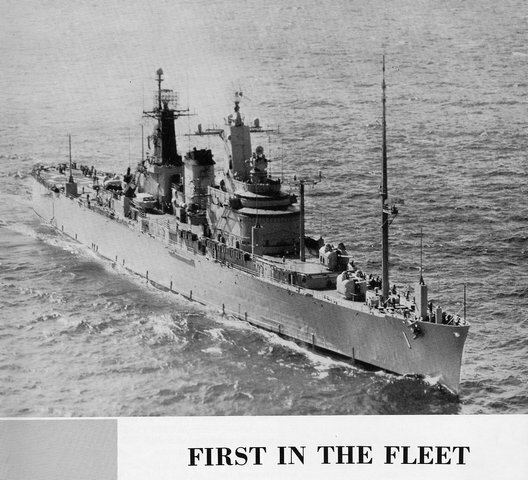 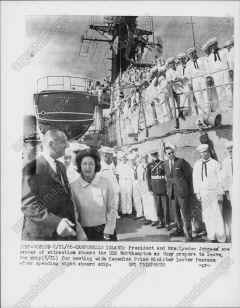 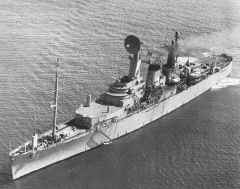 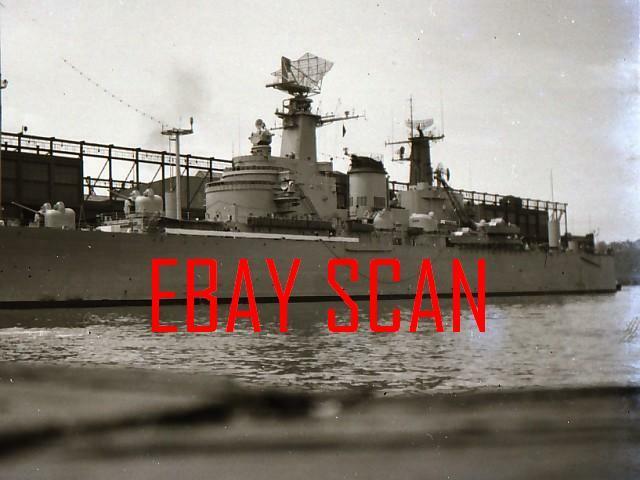 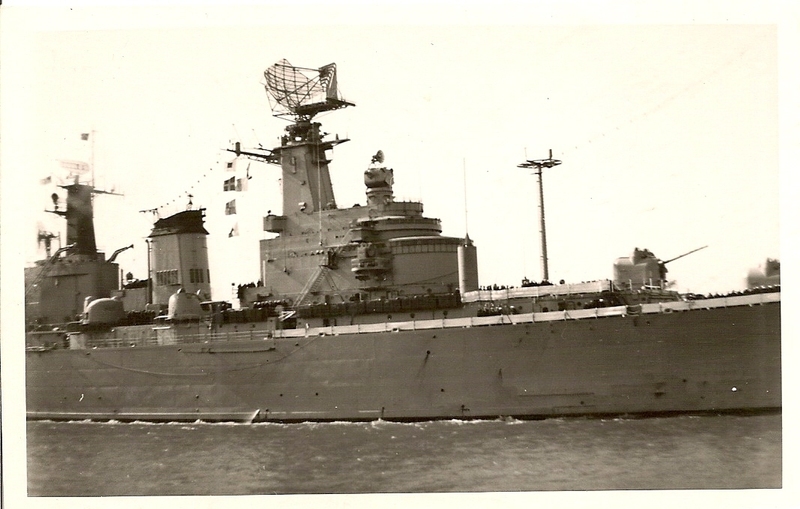 Construction began in 1944 as a Baltimore class cruiser but work halted at the end of WWII. 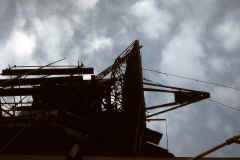 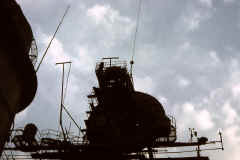 Construction resumed in 1948 with radical alterations and launched in 1951. 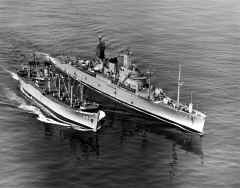 She was commissioned in 1953 as CLC-1 and became permanent home to Commander Striking Force Atlantic in 1957. 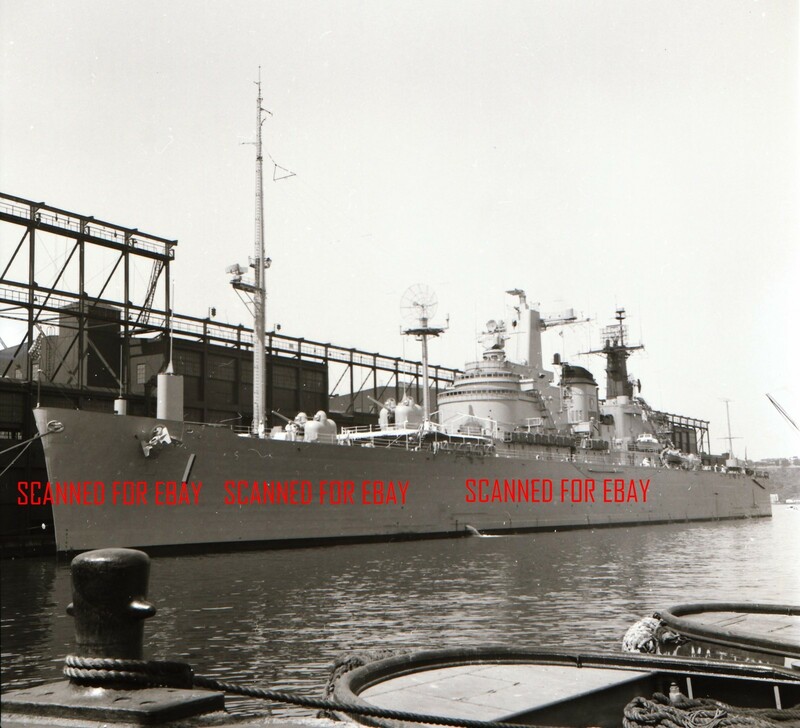 In 1961 she was redesignated as CC-1 and served as a "national emergency command post afloat" (NECPA) until decommissioned in 1970 and then sold for scrap in 1977. 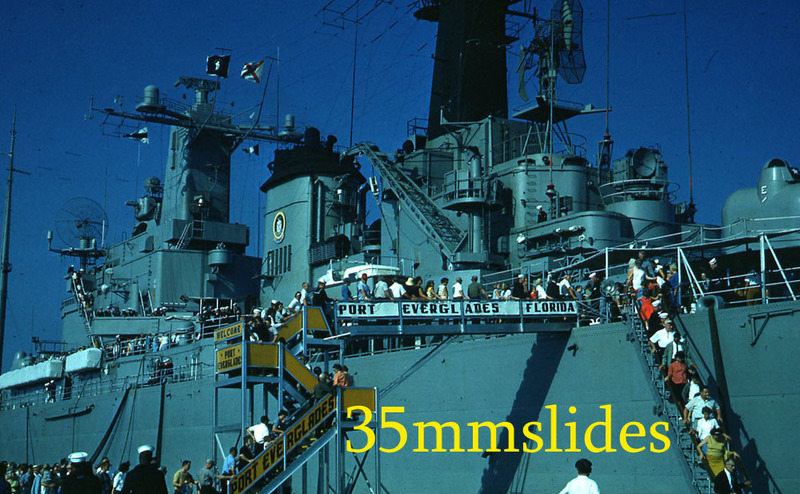 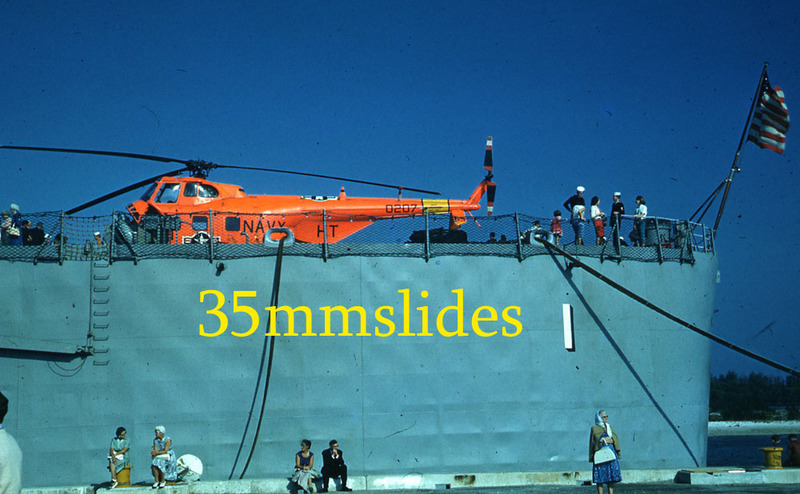 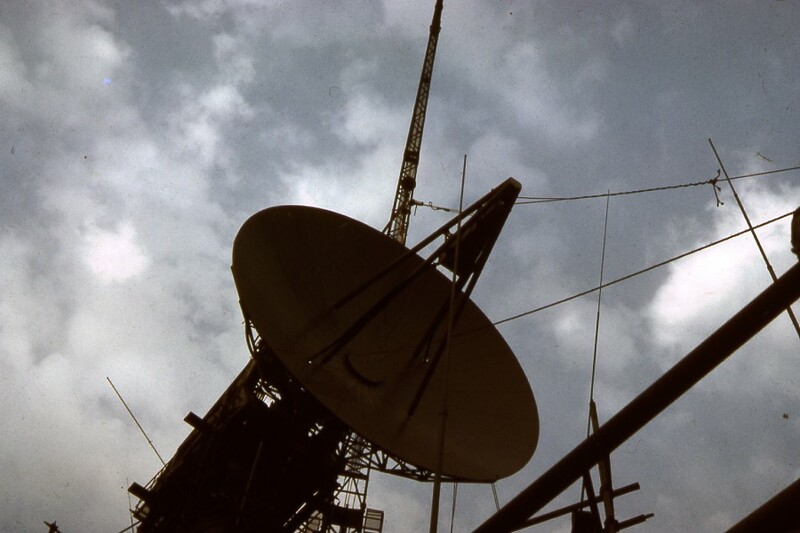 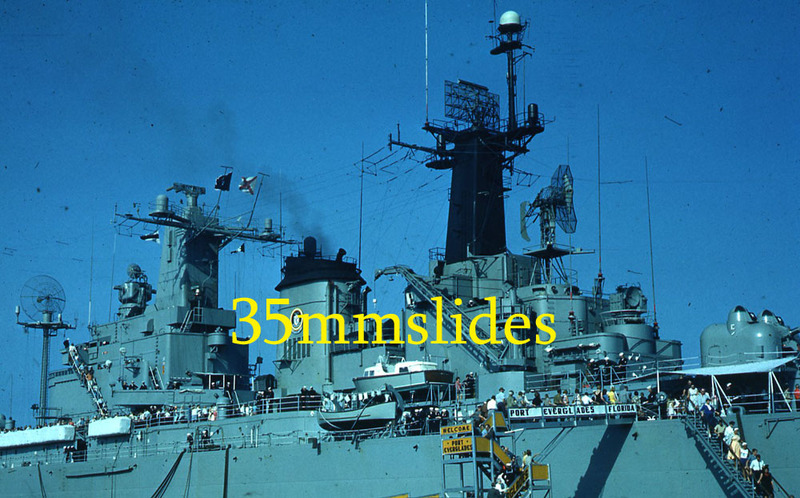 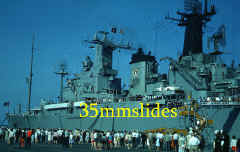 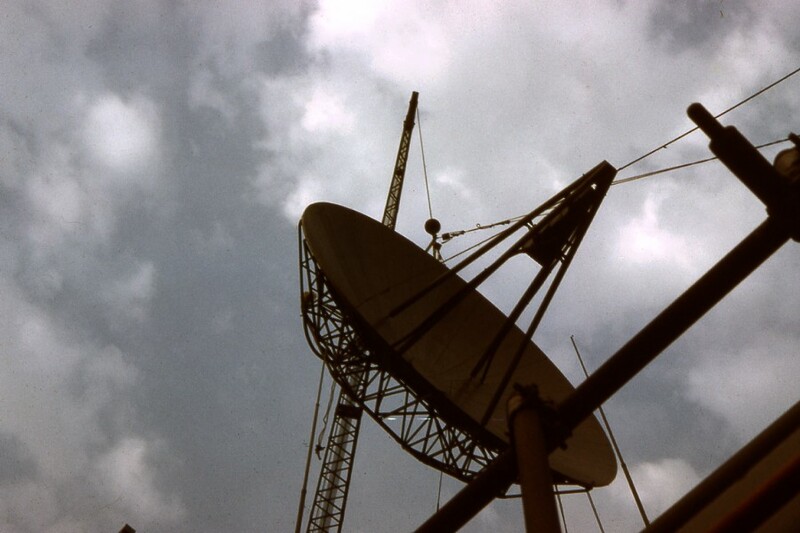 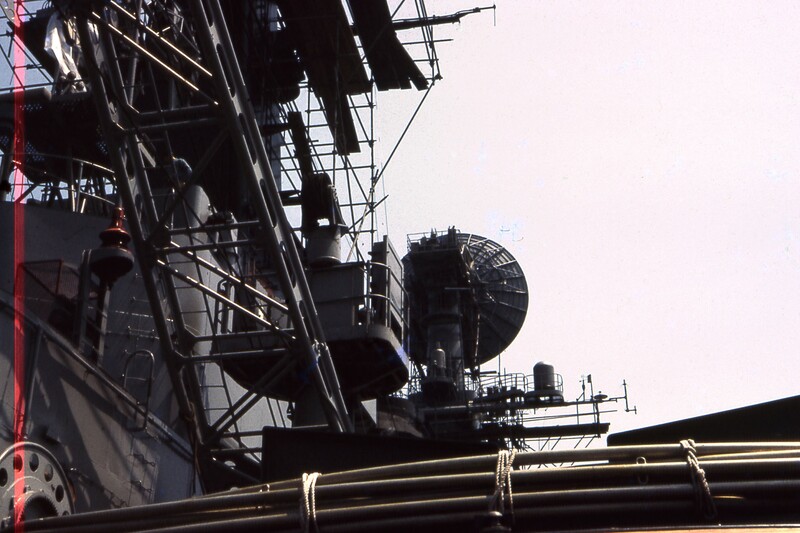 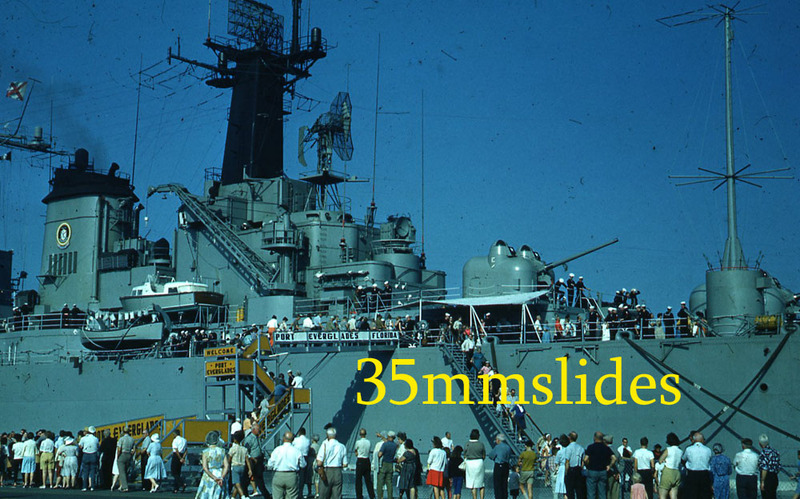 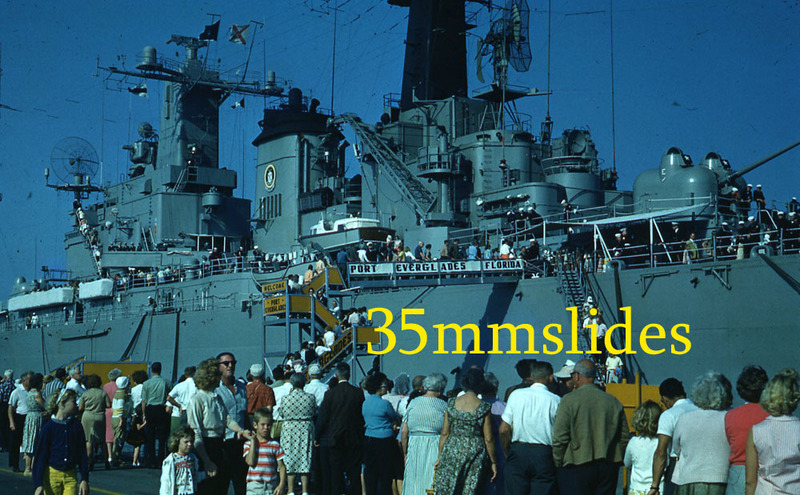 New 35' diameter troposcatter antenna (solid) added in 1968 or 69? 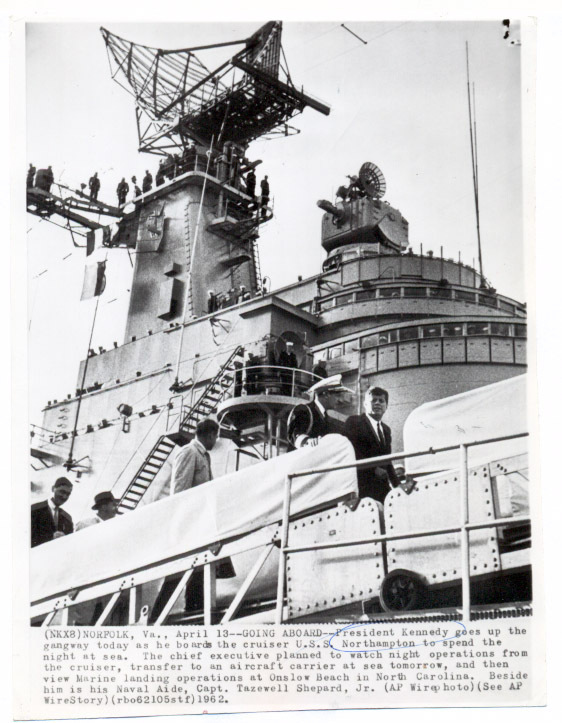 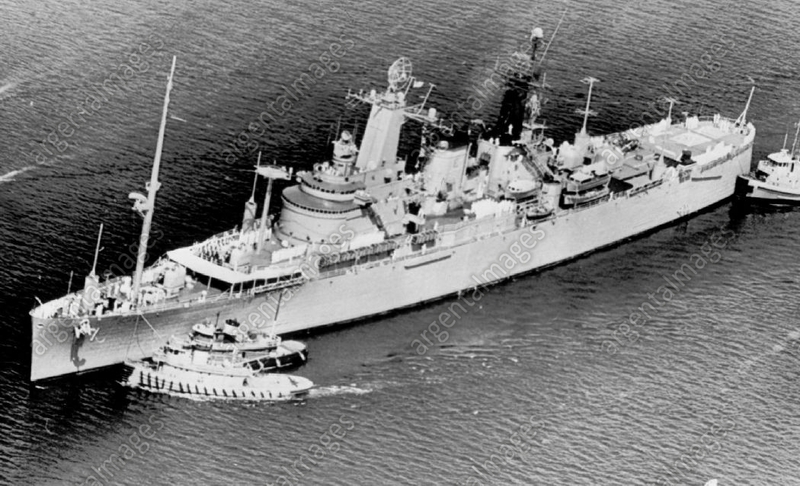 photo caption says "as completed 1953", but antennas match 1963, so maybe "CC-1 as completed"
"2 March - Aboard the second fleet flagship in the Norwegian Sea - USS Northampton set a phenomenal communications "first" during exercises held in this area on Sunday Feb 28, 1960. 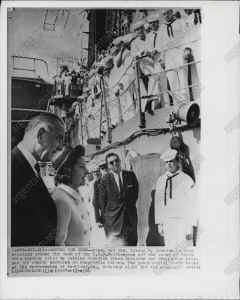 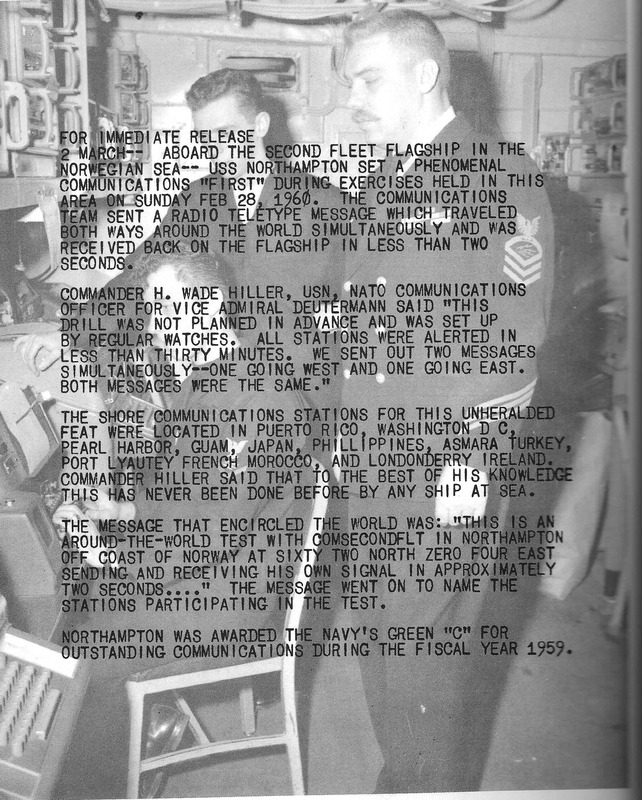 The communications team sent a radio teletype message which traveled both ways around the world simultaneously and was received back on the flagship in less than two seconds. 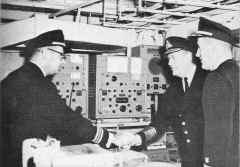 Commander H. Wade Miller, USN, NATO Communications officer for Vice Admiral Deutermann said "This drill was not planned in advance and was set up by regular watches. All stations were alerted in less than thirty minutes. We sent out two messages simultaneously - one going west and one going east. 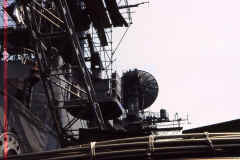 Both messages were the same." 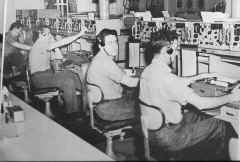 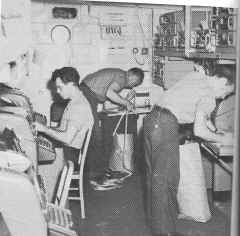 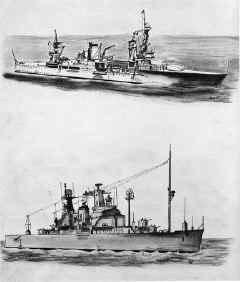 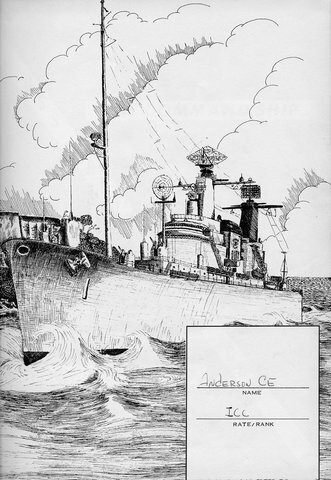 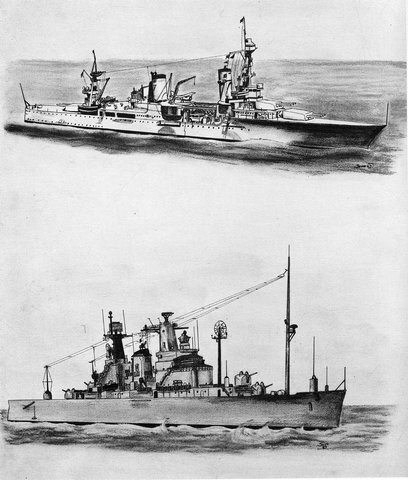 The shore communications stations for this unheralded feat were located in Puerto Rico, Washington DC, Pearl Harbor, Guam, Japan, Philippines, Asmara Turkey, Port Lyautey French Morocco, and Londonderry Ireland. 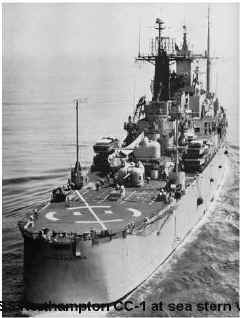 Commander Hiller said that to the best of his knowledge this has never been done before by any ship at sea. 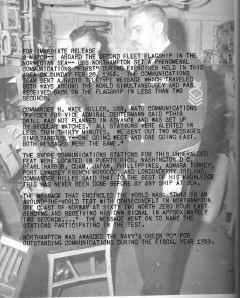 The message that encircled the world was: "THIS IS AN AROUND THE WORLD TEST WITH COMSECONDFLT IN NORTHAMPTON OFF COAST OF NORWAY AT SIXTY TWO NORTH ZERO FOUR EAST SENDING AND RECEIVING HIS OWN SIGNAL IN APPROXIMATELY TWO SECONDS..." The message went on to name the stations participating in the test. 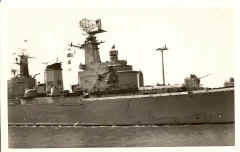 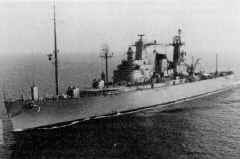 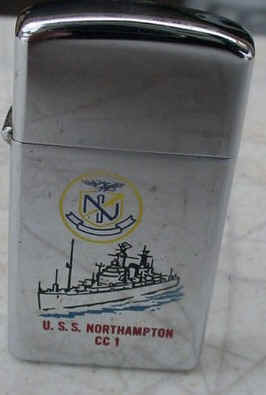 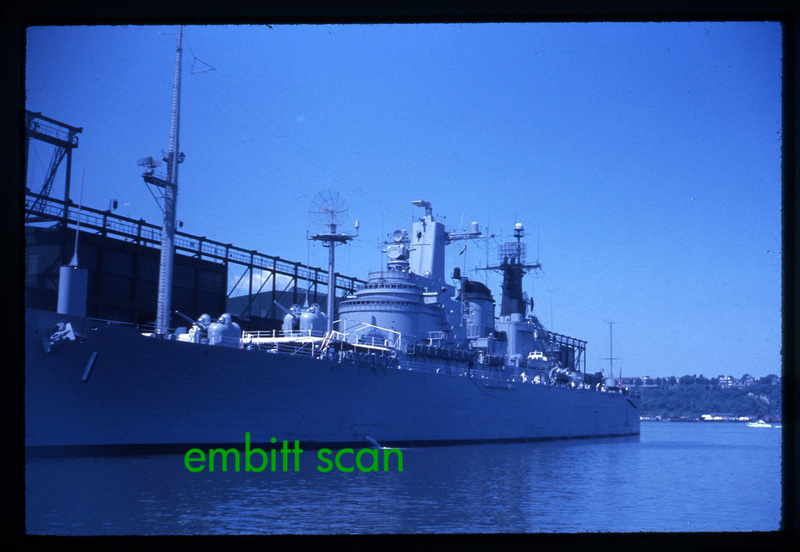 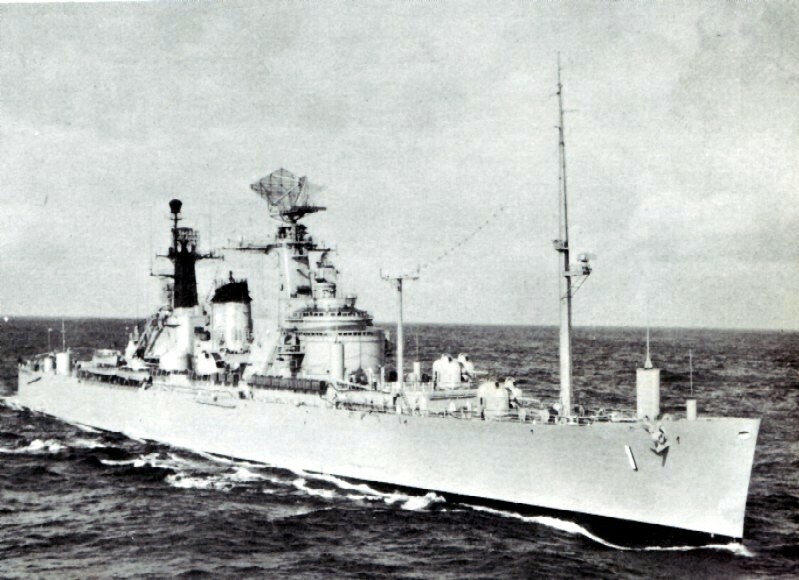 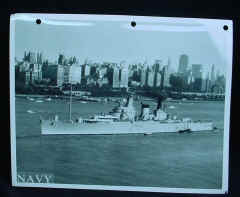 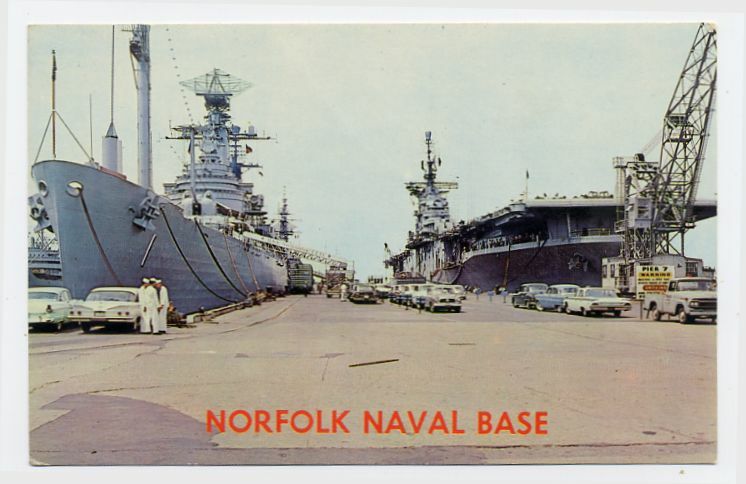 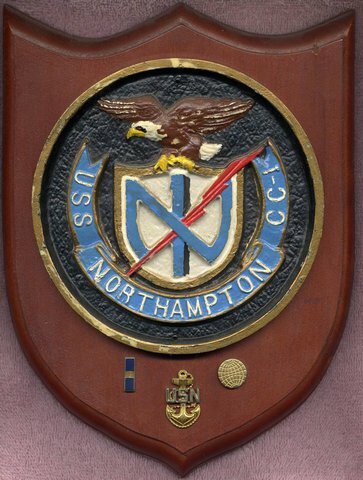 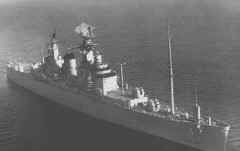 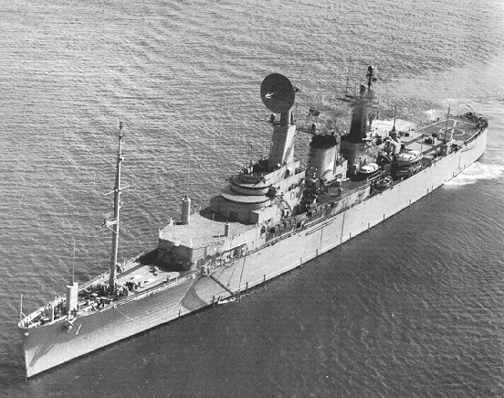 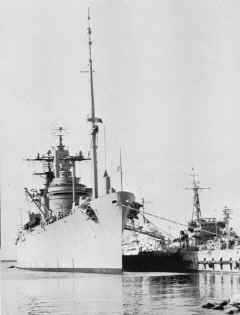 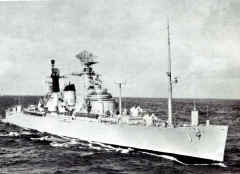 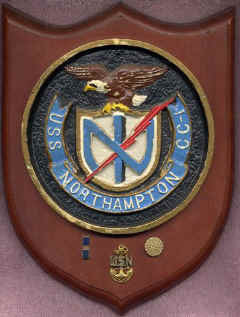 Northampton was awarded the Navy's Green "C" for Outstanding Communications during the fiscal year 1959." Norway's King Olaf V visits R-390A receivers.